The University of Pittsburgh (“University”) values the expression and exchange of ideas and encourages students to exercise their rights and privileges as individuals by participating fully in the political process. Due to the University’s status as a tax exempt organization, there are limitations on the type of partisan political activities that can be conducted on campus. Accordingly, Student Organizations are expected to observe University Policy 02-03-09 Participation in Political Campaigns (“Policy”) and should consult the following guidelines with respect to participation in political activities. The Policy is not intended to infringe in any way on an individual’s right, in his or her own name, to support a particular candidate or participate in a political campaign. Individuals remain entirely free to become involved in the election process as they choose, in a manner that does not evidence or imply University involvement. This is a complex issue, accordingly, if you have any questions regarding such activities please contact the Office of Community and Governmental Relations or the Office of General Counsel. Can a Registered Student Organization set up a booth or table to distribute candidate information? Yes, Registered Student Organizations may set up booths and tables, provided such activity is conducted in accordance with the Policy. Can a Registered Student Organization invite a candidate to speak on campus? Yes, Registered Student Organizations can invite candidates to speak on campus, provided such activity is conducted in accordance with the Policy. However, Registered Student Organizations may not use University facilities to raise funds through admissions, fees, contributions, donations etc. to benefit a political party, campaign or candidate. Also the use of University funds (including the student activity fee) to pay honoraria or cover transportation or any other expenses for speaking engagements involving a candidate for political office is also prohibited. Can a Registered Student Organization use the University’s name or resources in partisan political activity? No, Registered Student Organizations may not use the University’s name or seal in connection with partisan political activity. This includes the use of the University name or seal on letterhead, envelopes, email accounts, telephone lines and voicemail systems for communications. Likewise, Registered Student Organizations may not use University funds (including student activity fees) for partisan purposes, such as to purchase promotional material, pay for campaign ads or contribute in any way to a political campaign. What other type of political activities can a Student Organization participate in on campus? 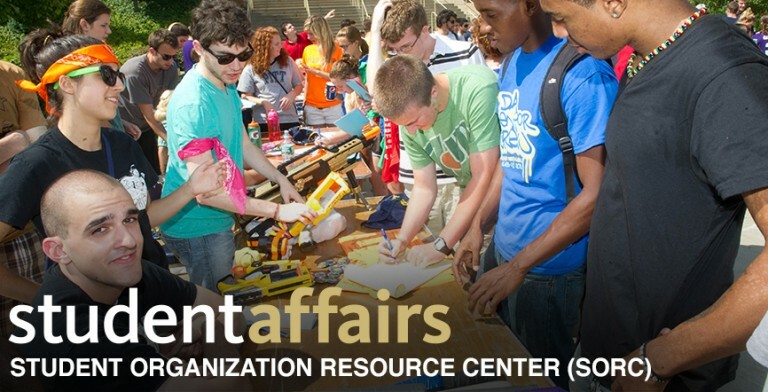 Student Organizations can participate in nonpartisan political activities such as properly organized voter registration activities and voter education programs, provided these activities do not evidence a preference for or opposition to a political party or to candidates who have taken a particular position.